Now, now, the garden fairies in my garden are surely not the only garden fairies taking selfies these days, are they? If yours arent, maybe they'd like to? You can help them do so. 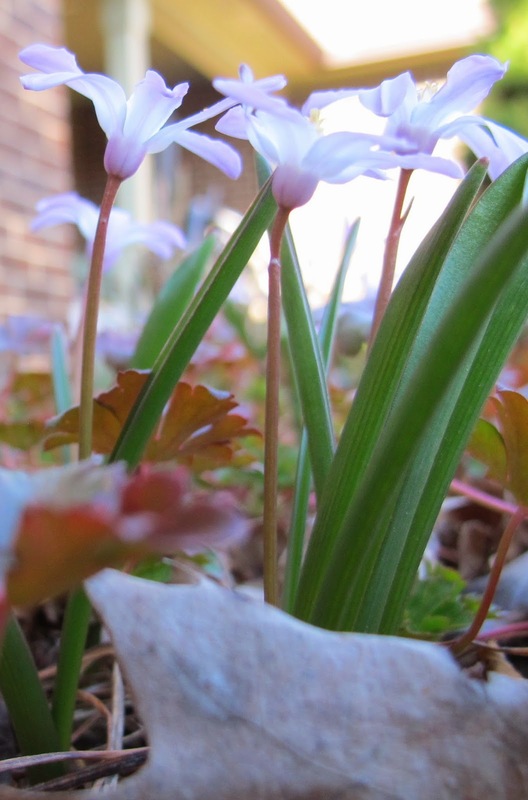 First take your camera and aim it toward any small, ground hugging spring flowers. You should put the camera as close to the ground as possible. Maybe even put a paper towel down and put the camera right on the ground. Then, ready, focus, and wait just a second. I guarantee the garden fairies will run in front of the camera just before you hit the shutter button. And that's how the garden fairies take selfies. 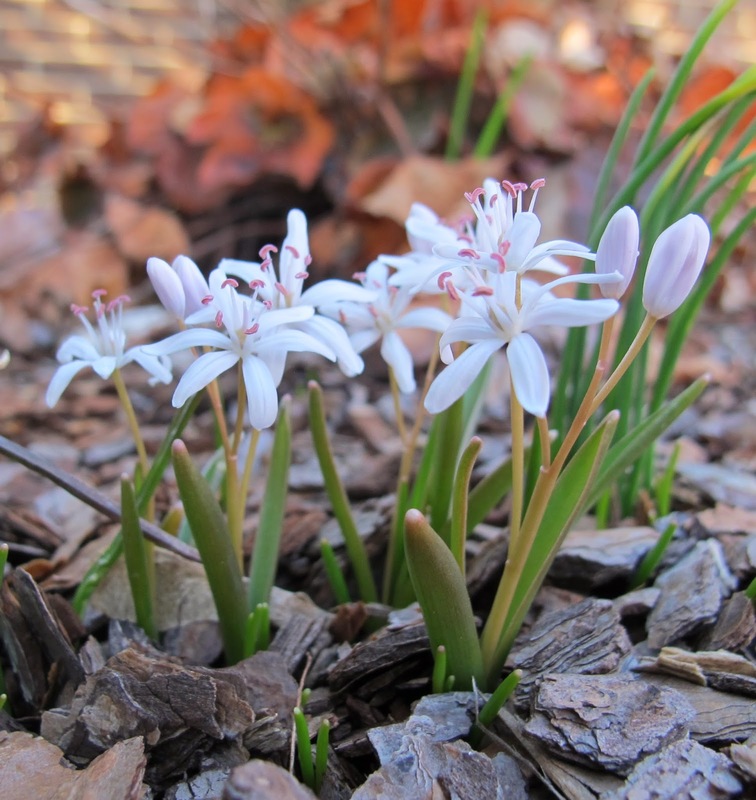 If you don't have any small, ground hugging spring flowers, make a note to get some bulbs for some next fall and plant them up. 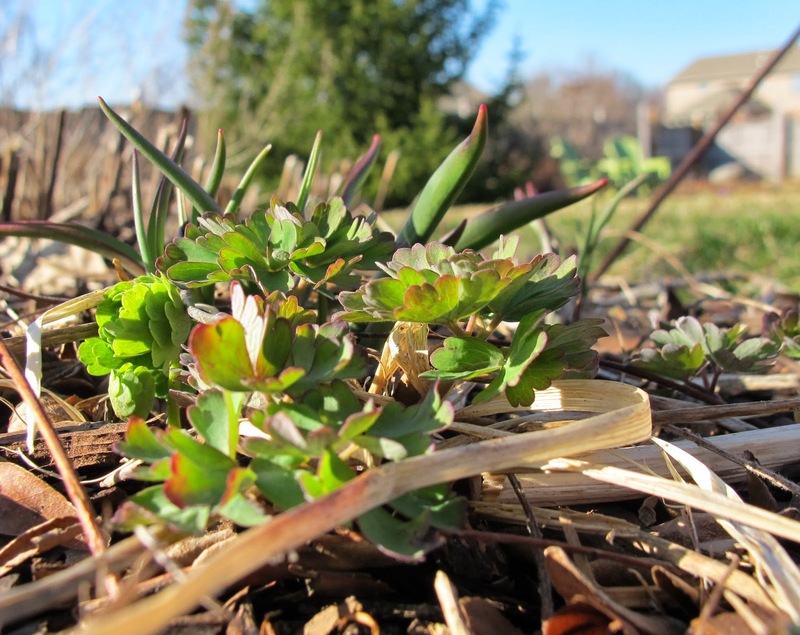 Occasionally, in desperation, garden fairies will run in front of a camera aimed at emerging foliage. Here's an example of a garden fairy selfie taken in front of columbine foliage. Sometimes, the camera will focus on something you didn't intend for it to focus on, but it's still a good selfie because the garden fairies in it are interesting. 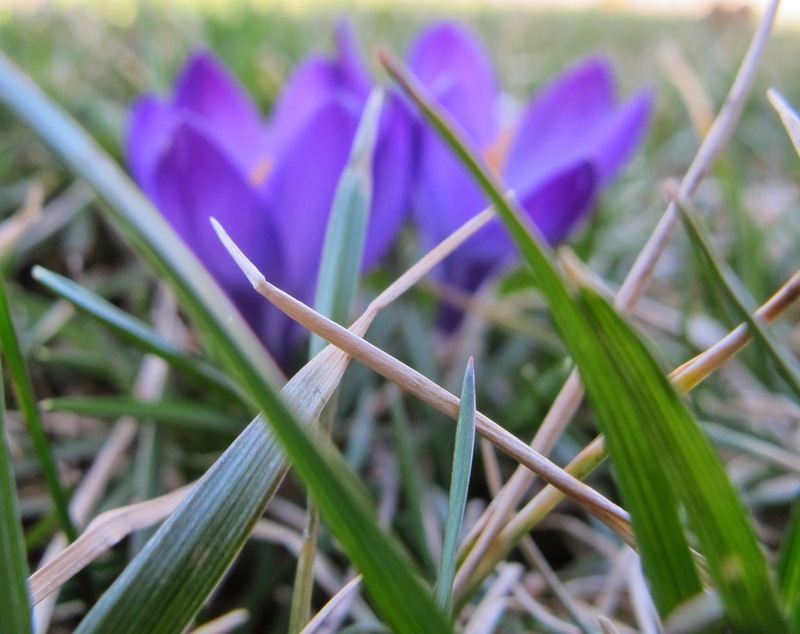 In this selfie, the grass takes center stage and the garden fairies and crocus look more like they are attempting to photo-bomb the picture. If you can't see the garden fairies in their selfies, you should look again. The garden fairies are there, I promise. If you have a chance to help your garden fairies take some selfies in your spring garden, let me know. I'd love to see them. I will be showing off a few garden fairy selfies on Monday...things are popping up slowly.